Reveal a "COIN" symbol, win $50 instantly! Reveal a "DIAMOND" symbol, win $100 instantly! Reveal a "DOLLAR" symbol, win $500 instantly! Reveal a "GOLD BAR" symbol, win $1,000 instantly! 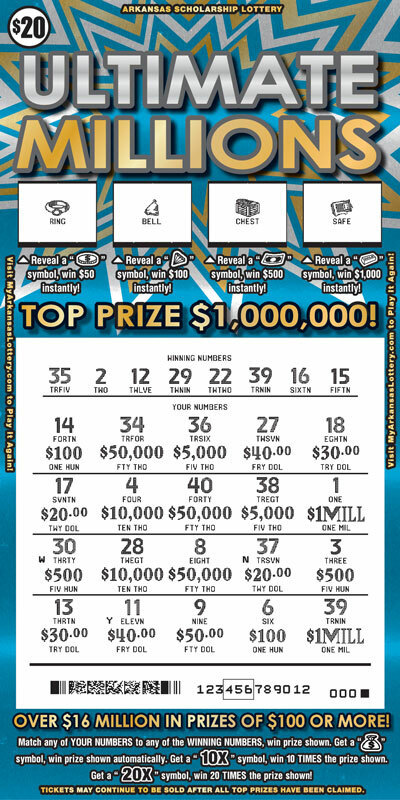 Match any YOUR NUMBERS to any of the WINNING NUMBERS, win prize shown. Get a "MONEYBAG" symbol, win prize shown automatically. 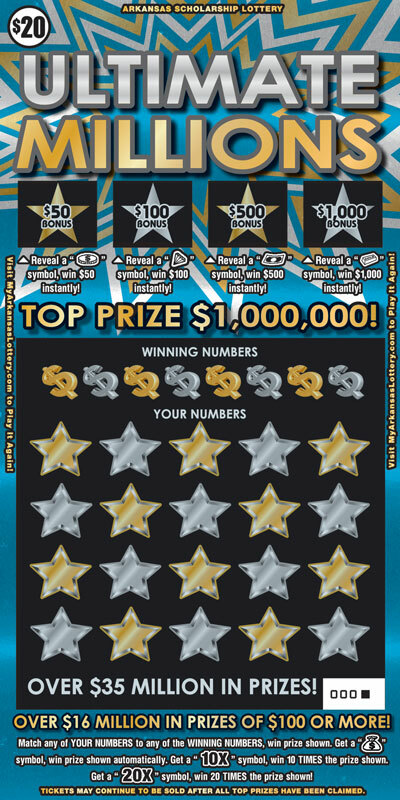 Get a "10X" symbol, win 10 TIMES the prize shown. 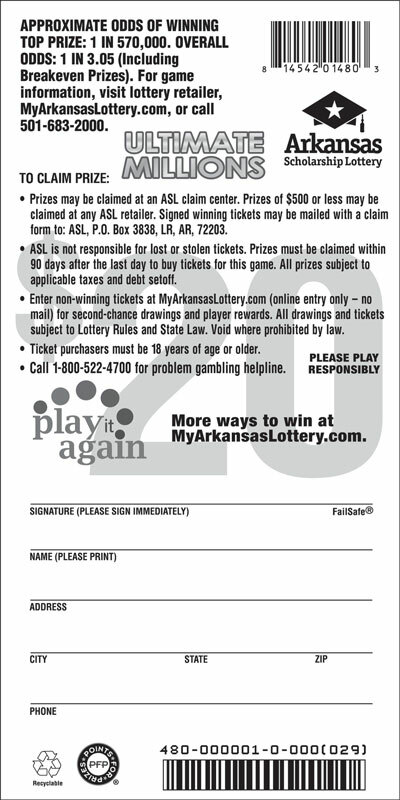 Get a "20X" symbol, win 20 TIMES the prize shown!